A Shotokan club, completely family owned and operated with family values right at the heart of everything that we do! All students, young and old, from age 4 to 204, will be made completely welcome. Your first week is completely free of charge! £20 for one student, £32 each for two students and capped at £35 for families of three or more, for a whole month's unlimited training! So if you train twice a week, the maximum amount you will pay once averaged out over the month is only £2.50 per class! and that's it! come along and give it a go! Would you like more information on hours, classes and programs available at Black Scorpion Karate? Please contact the school with your questions. Update the details, Write a Review or Report Error of Black Scorpion Karate. This Chart shows the Martial Arts Styles offered most in Wigan, UK area. 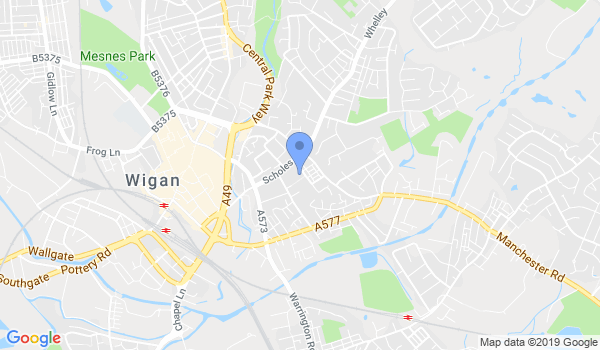 View a list of Dojo in Wigan, or enter your address below to find schools closest to you.